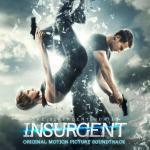 Insurgent is a sequel of Divergent, a futuristic action movie with beautiful actors. The first series left behind mixed feelings and moods, as heroes went beyond their world-society to nowhere, i.e. they have escaped, without any plan or setting for the future. In total, the collection contains 28 tracks, 13 of which are on the site, some without lyrics. The film itself is quite a youth, so performers in their overwhelming majority are not too famous, youth and energetic. Beauty with a specific homely look, Shailene Woodley, this "beauty from the backyard" – neighborhood girl, is not as easy as she looks. Under a beautiful face and slender flexible body lies just a machine with infinite purposefulness and excellent brains that make a stunning mix. m83 or Sohn – representatives of youth hangouts, who know perfectly well what such film should contain as of it is for the audience between 15 and 25 years – no soporific compositions! No, of course, there are ballads, but they can be listened without falling asleep, that many of “classic” composers, from the old school, do not recognized to be true. Blood Hands is a very energetic rock song, it echoes with The Heart Of You – a little slower, but more ponderous bass guitar rock song. Perfect trans-song Sacrifice not for lounge, as one might think in the beginning of it – then she swings and gives a good energy to the audience. Lovers of piano and guitar rock should listen to this collection.